Shiprock Northwest High School opened up the District 1-2A season with a confidence boost they’ve needed. Since the beginning of the season, coach Vivian Montoya has said her team had potential but they had trouble believing it. 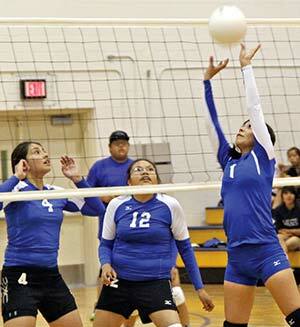 The Lady Falcons defeated Navajo Pine 3-2 (20-25, 25-23, 25-17, 17-25, 15-13) in the district opener on Oct. 2.